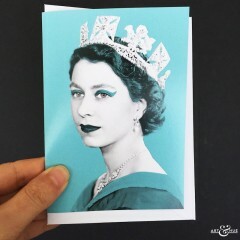 Queen Elizabeth II Greeting Card. Her Majesty The Queen in Aqua. Stylish all-purpose card ideal for any occasion. A6-size card with white envelope. 300gsm card using carbon-captured papers from sustainable sources. Available individually & in multiples of 5 for the price of 4, and 8 for the price of 6. Also available in other colours and as part of a group of 8 differently coloured greeting cards. SKU: N/A. Category: Greeting Cards. Tags: 2018, Greeting Cards, London, Royal. 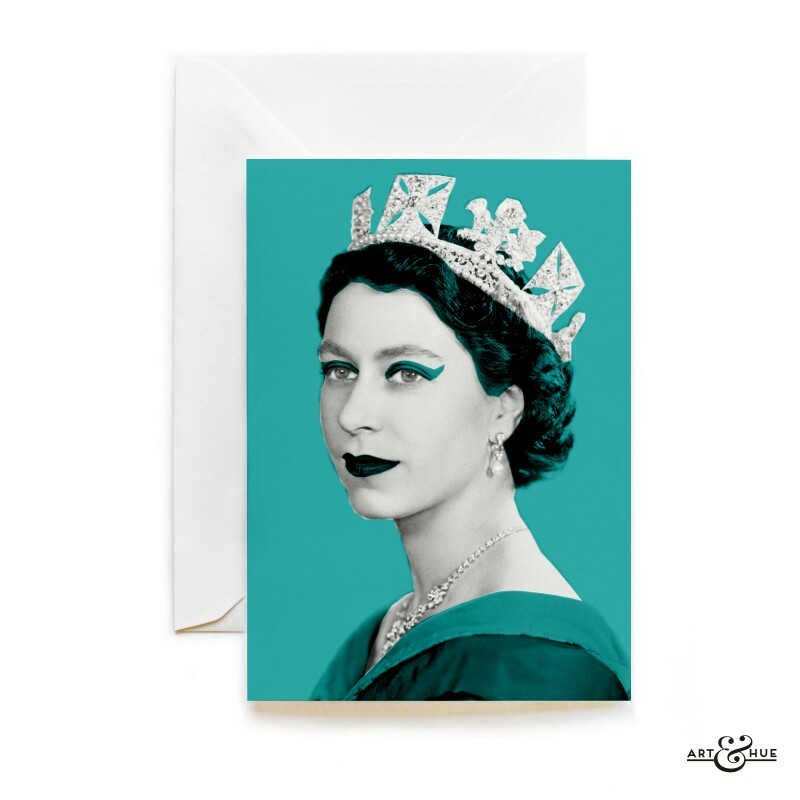 Queen Elizabeth II greeting card with stylish pop art of Her Majesty The Queen in Aqua. 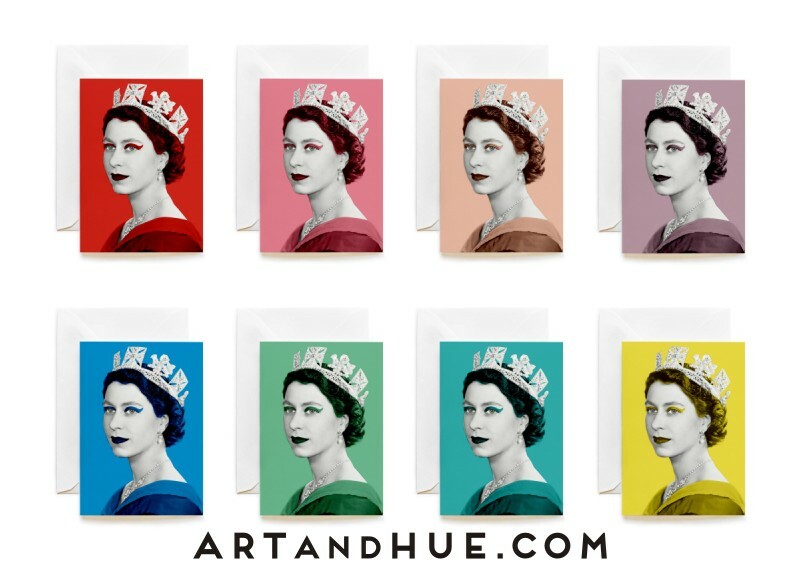 All-purpose card ideal for any occasion – birthday, celebration, thank you, congratulations, anniversary, wedding, holiday, Christmas, new baby, new home, new job, Mother's Day, Father's Day, or simply for a fan of London or The Queen. Part of the collection of stylish greeting cards by Art & Hue. Printed in Britain, this A6-size white card of pH-neutral 300gsm card is made from sustainable sources, free of chlorine & heavy-metals, FSC Certified, using carbon-captured papers. Each card helps fund the Woodland Trust’s work to protect existing trees as well as create & plant new British woodlands.